Iraqi teenager, who had come to Britain as an asylum seeker, was found guilty on Friday of attempted murder after detonating a homemade bomb on a packed rush-hour London commuter train, injuring 30 people. Ahmed Hassan, 18, was found guilty of trying to murder the passengers on board an underground train heading to central London on September 15 last year, prosecutors said. The bomb went off at Parsons Green station and flames engulfed the carriage, but it did not fully explode, limiting the scale of injuries in what authorities said was Britain’s fifth major attack of 2017. “It was only a matter of luck that the device did not work as he intended or it could easily have led to the loss of innocent lives,” said Sue Hemming from Britain’s Crown Prosecution Service. The teenager had left his home in Sunbury-on-Thames in west London and set the timer for the device in toilets at Wimbledon station where he boarded a District Line underground train. He got off at the stop before Parsons Green leaving behind his bomb loaded into a bucket and packed with more than two kilograms of metal shrapnel including screws, bolts, nails, knives and screw drivers. 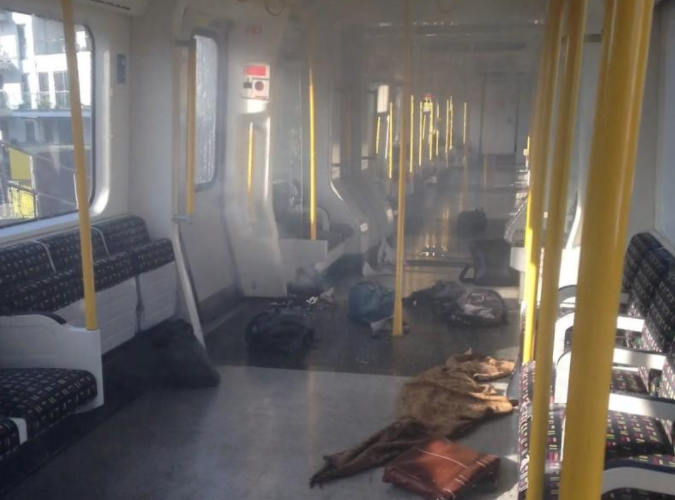 There were 93 passengers in the carriage when it detonated. They reported hearing a loud bang and seeing a fireball roll down the carriage with one woman suffering burns to her hands, legs, and face causing her to lose the hair on her eyebrows and eyelashes, while others were hurt in a stampede to flee the scene. Hassan was arrested in the southern port of Dover the following day. The jury at London’s Old Bailey court convicted him of attempted murder and he will be sentenced at a later date.